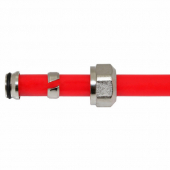 1/2" PEX adapters are included by default. 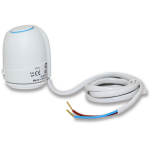 For other size adapters (free upgrade) make a note at checkout. 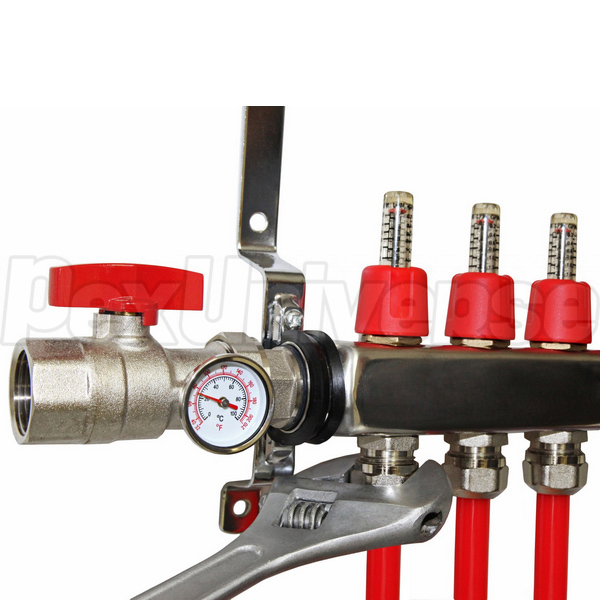 (1) Supply side stainless steel PEX manifold with (9) adjustable flow meters (indicators) and (9) PEX tubing outlets. (1) Return side stainless steel PEX manifold with (9) manual balancing valves and (9) PEX tubing outlets. 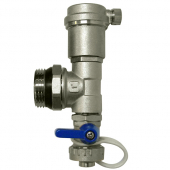 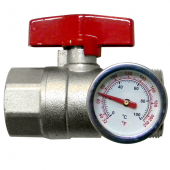 (2) 1" IPS Shut-off ball valves (1/4-turn) - one for each manifold (blue handle for return manifold and red handle for supply). 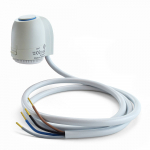 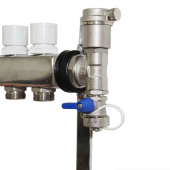 (2) Temperature gauges on both manifolds to monitor supply and return water temperatures. 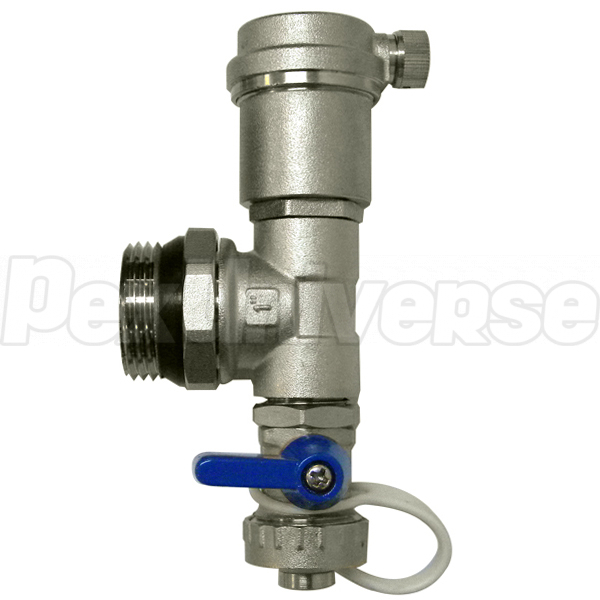 (1) Float-type air vent to eliminate air from the system - on return side (air vent cap included for pressure testing purposes). 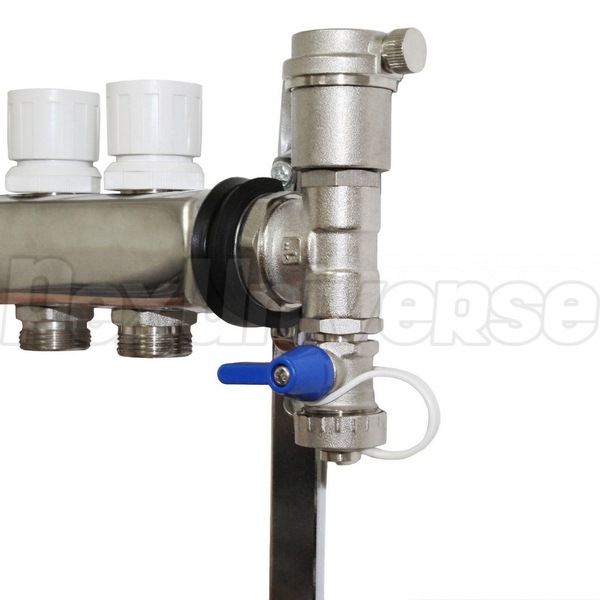 (2) Drain valves with 3/4" garden hose connection and a cap. 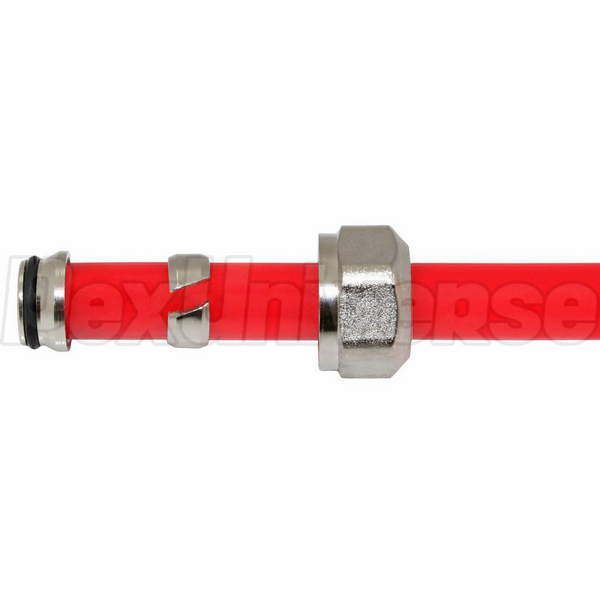 (18) Compression-style adapters for 1/2" PEX tubing. 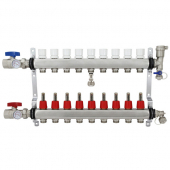 Manifold PEX outlets are 2" OC (on center). Supply and return manifolds are at 8.25" OC spacing. 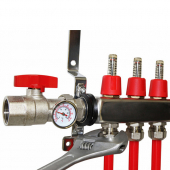 Compatible with any ASTM F876/F877 PEX tubing (sizes 3/8", 1/2", 5/8" and 3/4").